Apples, blackberries, leaves & lavender come from the garden at Wellacres (where it was served) and the marjoram flowers and ivy came from my garden. I love the presentation, it looks fantastic! Thanks. Great fun to make - you just find inspiration from the garden of the venue you are at. 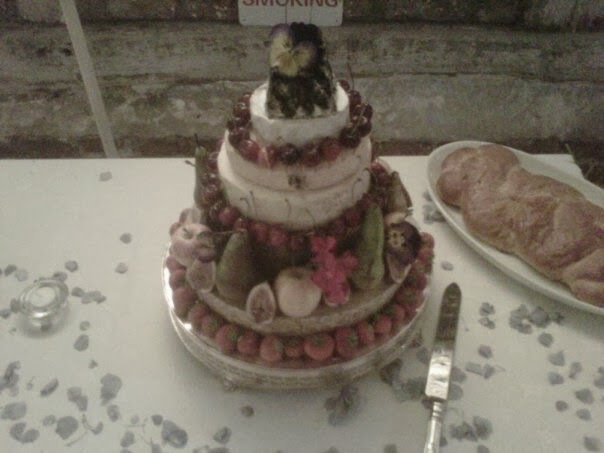 And it gets eaten too, whereas people are often too full by the time it comes to normal wedding cake.